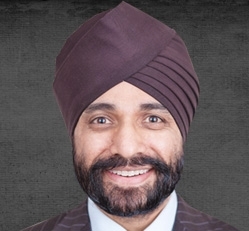 Mr. Jay (Jatinder) S. Bhogal, President & CEO, Vector Asset Management, is an accomplished investor and business visionary with 20 years of experience helping finance and build companies in diversified industries, including: online media, health services, medical devices, drug discovery, vaccine production, renewable and alternative energy, fossil fuels, and others. Numerous breakthrough technologies supported by Mr. Bhogal have grown from inception to achieve $300 million-plus market capitalization, and have garnered global media coverage by CNN, CNBC, MSNBC, CBS, FOX News, New York Times, The Wall Street Journal, Washington Post, TIME, Forbes, Agence France-Presse (AFP), and Reuters, among others. As a private investor, director, and executive responsible for managing both private and public equity portfolios, Mr. Bhogal has incubated and directed ventures and projects in collaboration with leading research institutions and government agencies, including: United States Department of Energy’s National Renewable Energy Laboratory, University of California Berkeley, Dartmouth College, NASA’s International Space Station National Laboratory Initiative (on board the Space Shuttle ‘Endeavour’ with USDA; mission STS-126), and others. Among ventures he’s supported from inception are several first-of-their kind technologies and products, including: the world’s first see-through glass window capable of generating electricity; advancement of a nerve regeneration technology which restored the ability of animals to walk after their sciatic nerves had been severed; clinical development and commercial deployment of America’s largest outsourced urology treatment network; discovery of novel pharmacological compounds for diabetes and difficult to treat cancers; and development of a bioartificial liver which successfully advanced from early embryonic stem cell discovery to supporting the acquisition of an advanced FDA Phase II-III medical device which saved the lives of patients in Grade4 hepatic encephalopathy (coma) during America’s largest-ever human clinical trial of its kind.